NASA announced today that MIT's Computer Science and Artificial Intelligence Laboratory (CSAIL) is one of two university research groups nationwide that will receive a 6-foot, 290-pound humanoid robot to test and develop for future space missions to Mars and beyond. Tedrake's team, which was selected from groups that were entered in this year's Defense Advanced Research Projects Agency (DARPA) Robotics Challenge, will receive as much as $250,000 a year for two years from NASA's Space Technology Mission Directive. 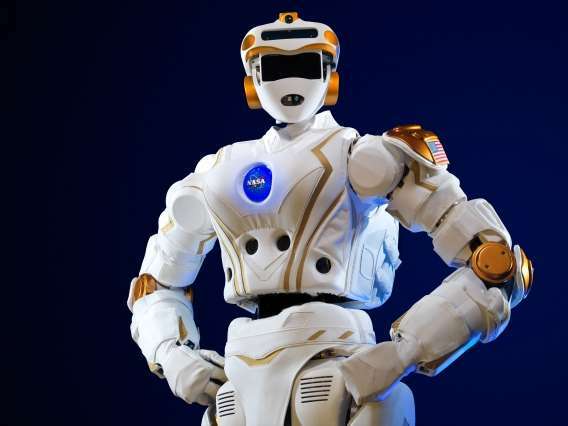 "Advances in robotics, including human-robotic collaboration, are critical to developing the capabilities required for our journey to Mars," said Steve Jurczyk, associate administrator for the Space Technology Mission Directorate (STMD) at NASA Headquarters in Washington, in a NASA press release. "We are excited to engage these university research groups to help NASA with this next big step in robotics technology development." As head of CSAIL's Robot Locomotion Group, Tedrake has extensive experience with autonomous robots. Over the past three years he led a team of more than 20 researchers to develop algorithms for a government competition to get another 6-foot-tall humanoid robot named Atlas to open doors, turn valves, drill holes, climb stairs, scramble over cinder blocks, and drive a car—all in the space of one hour. Tedrake is also part of CSAIL's new $25 million Toyota-funded research center for autonomous cars, specifically focused on advanced decision-making algorithms and systems that allow vehicles to perceive and navigate their surroundings safely, without human input. The larger collaboration will be coordinated by Gill Pratt PhD '89, a former MIT professor who most recently served as program director at DARPA's Defense Sciences Office. Look good, but missing a little whoop whoop factor expressed in this song.. Still missing terminators real time bipedal dynamic stability algorithm. In fact looking at DARPA's rescue robotics challenge you could see no real time upper body stability compensation for varying gaits to most if not all of the bipedal chassis entered into the competition. One slight traction slip on loose soil and down they went like rigid over sized multi-million dollar lego-technic cranes. Would be probable to look towards holistic-kinesthetic body stability algorithms in future prototypes, something more flexible to environmental change as we naturally are, like twisting or tilting our lower/upper back, moving shoulders and arms for example(s) to engage in better bipedal dynamic stability. NASA has been working on this thing for over 5 years now and they finally admin that they aren't skilled enough to get it working the way they want. Now it is time for the real experts to do the job. Good Luck MIT!